Copper Heat Pipes – 5 pieces of HDT copper sinter powder heat pipes delivers high-efficiency heat conduction. Fan Fin – 2.5mm fan fin pitch high penetrability tower heat sink dissipates heat with low speed & noise fan. 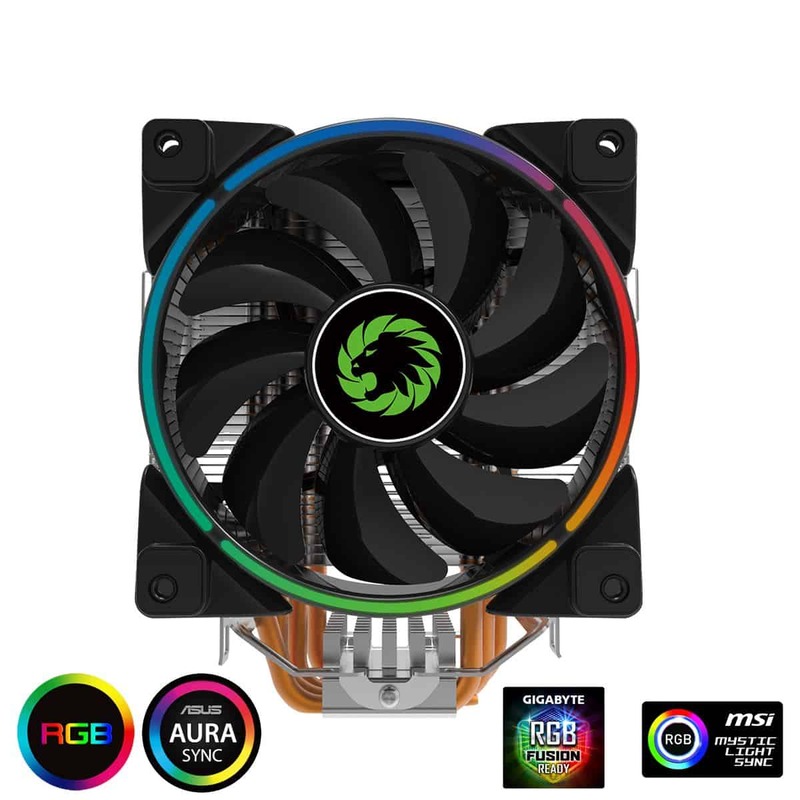 RGB Fan – 125 x 125 x 25 PWM RGB LED silent fan detachable when cleaning need. Easy Installation – Simple and friendly installation in Intel and AMD system without moving the motherboard. RGB Software – RGB software control when your motherboard supports RGB lighting. RGB Mystic Light Sync – With the convenience of Mystic Light Sync, you can control RGB LED solutions to customise your computer lighting from other supported peripherals, such as RGB CPU/System Coolers, Memory Modules, Cases, HDDs, Keyboards, Mice, Mouse Pads, Headsets and LED Strips. Wire Controller Included – Synchronised RGB aluminium housing and fan provide amazing lighting visuals. Use the wire controller to customise the colour scheme to match your ultimate gaming build. Software Control – If your motherboard supports RGB lighting, then you can use software control by simply plugging in the RGB connector (included) into the RGB Header on your motherboard.